My colleague, Holly Harrison, Administrative Assistant for European and American Art, recently reinstalled the 4th floor Texas landing, bringing together artworks about cowpokes, gunslingers, and a cowgirl or two for Cowboys: On the Range Between Art and Life. 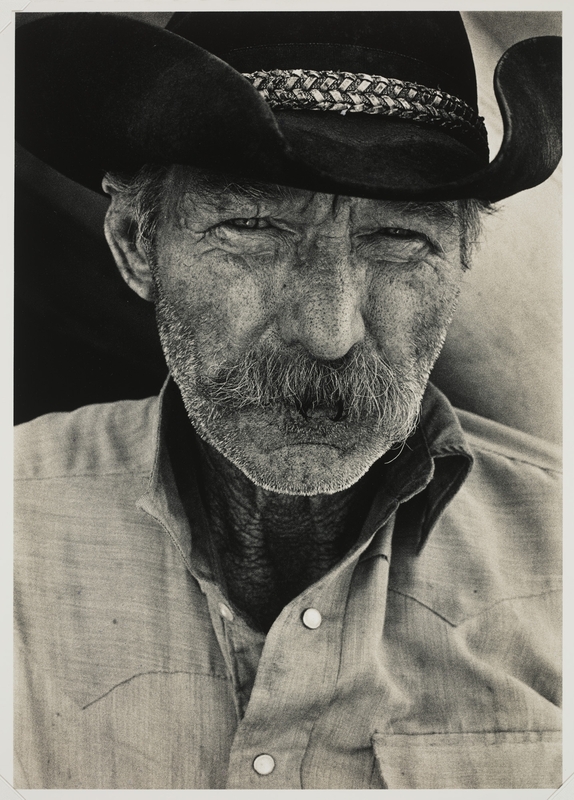 The installation, which includes paintings, photographs, and works on paper, invites us to imagine life on the range and to consider our often-romantic ideas about cowboys. Featured are photographs by Geoff Winningham, Laura Wilson, and Erwin E. Smith, and paintings by Frank Reaugh and Perry Nichols. One of my favorite works is Clara McDonald Williamson’s Get Along Little Dogies. 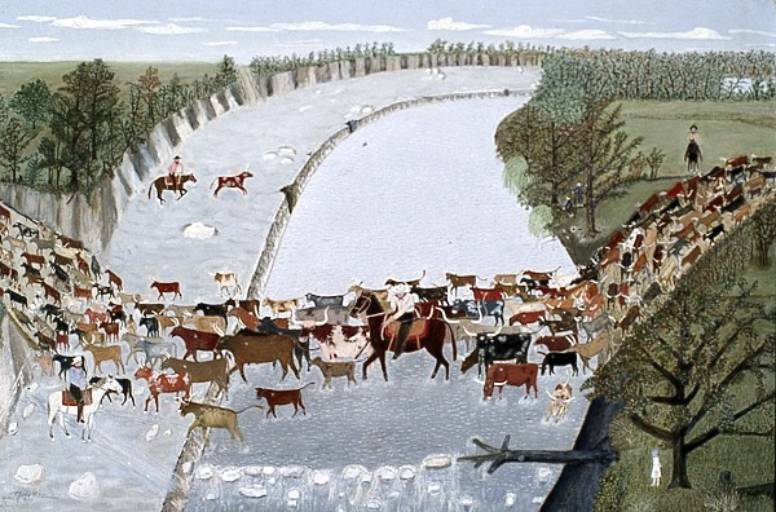 Williamson’s painting is a childhood memory of growing up in Iredell, Texas—a stopover on the Chisholm Trail. 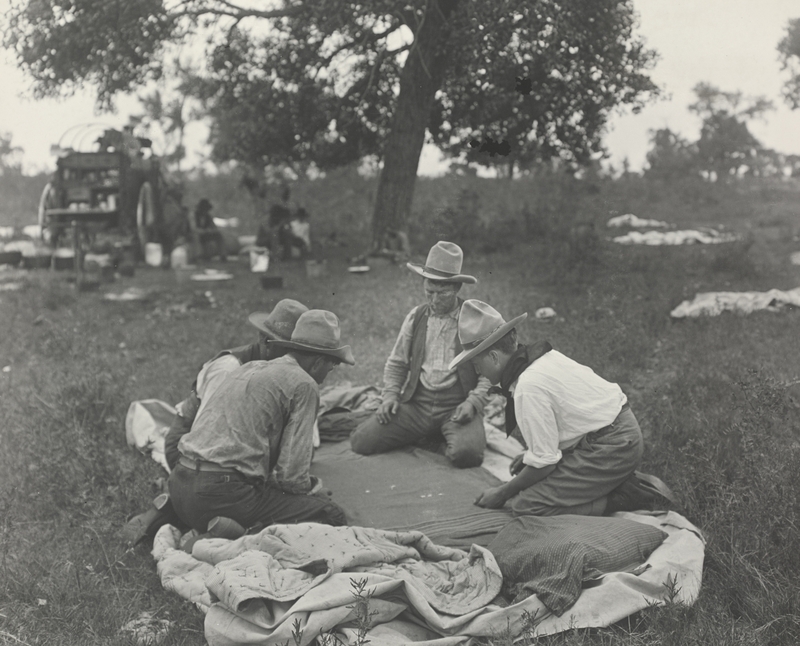 The artist, in a white dress and blue bonnet, watches from a distance as cowboys drive a herd of longhorns across the Bosque River, heading north to Kansas. Get Along Little Dogies is one of four paintings featured in the Go van Gogh outreach program for 4th graders, Art of the Lone Star State. The program highlights the diverse landscape of Texas and key events in its history— from the devastation of a Dust Bowl-ravaged Panhandle in the 1930s to the lush beauty of fields of Hill Country bluebonnets. After discussing these places, students create mixed media collages of their favorite Texas place. Make a resolution to come see it, and have a Happy New Year, ya’ll! 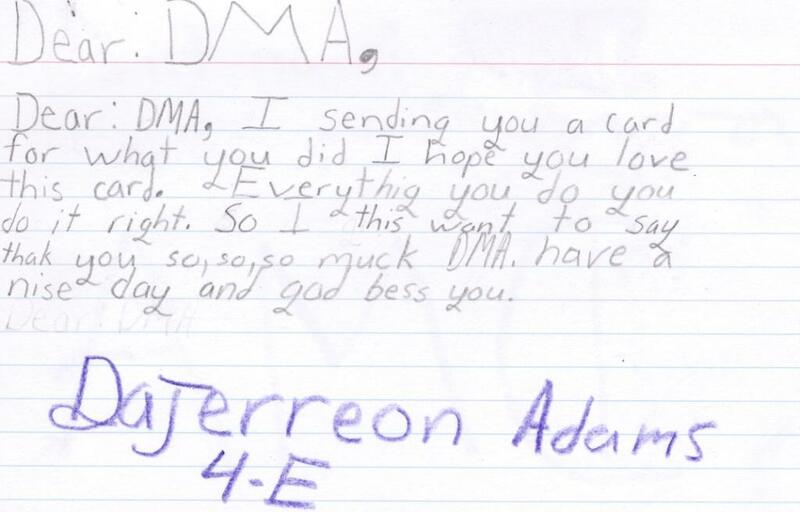 Thank you, Medrano Elementary Fourth Graders! Every once in a while, a teacher will take advantage of our Go van Gogh programs and schedule everything that is possible for his/her students. This is the case with the fourth grade teachers at Esperanza “Hope” Medrano Elementary, a Dallas ISD school. Over a three month period, we visited Medrano Elementary fourth graders four times with four different Go van Gogh programs. As a result, Go van Gogh volunteers and staff established a unique relationship with a mixture of people at Medrano Elementary. Their front staff recognized us and welcomed us warmly when we arrived at the school. We looked forward to our visits, because the students are bright, engaged, and enthusiastic. The teachers are always prepared and helpful as well. 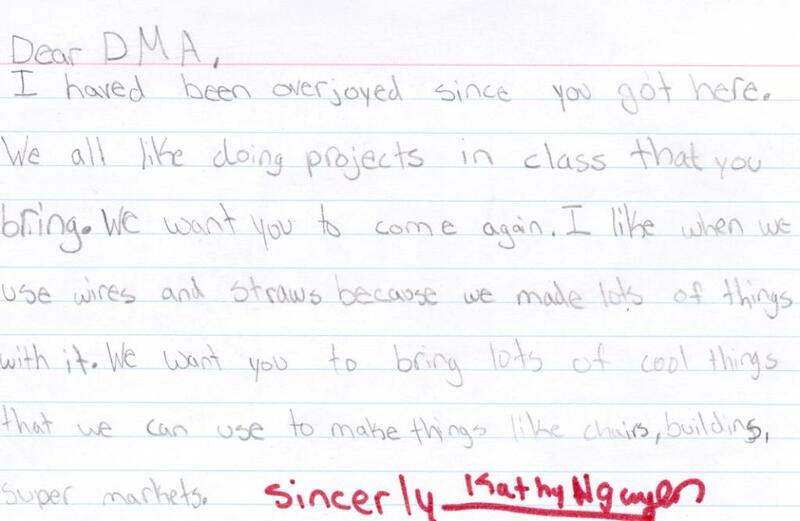 Because of our familiarity with the school, we piloted a new program with one of the fourth grade classrooms, during which we received great feedback from both the teacher and the students. Our final visit to the Medrano Elementary fourth graders was in mid-November. Last week, we were surprised and delighted by an envelope full of thank-you letters written and illustrated by the students. Below are a few highlights. With the holidays right around the corner, I find myself feeling nostalgic for the winters of my childhood. I grew up in Michigan, so I’m used to having lots of snow and a “white Christmas.” Living in Dallas, where it’s 60 degrees in December, I sometimes forget that this is actually winter! 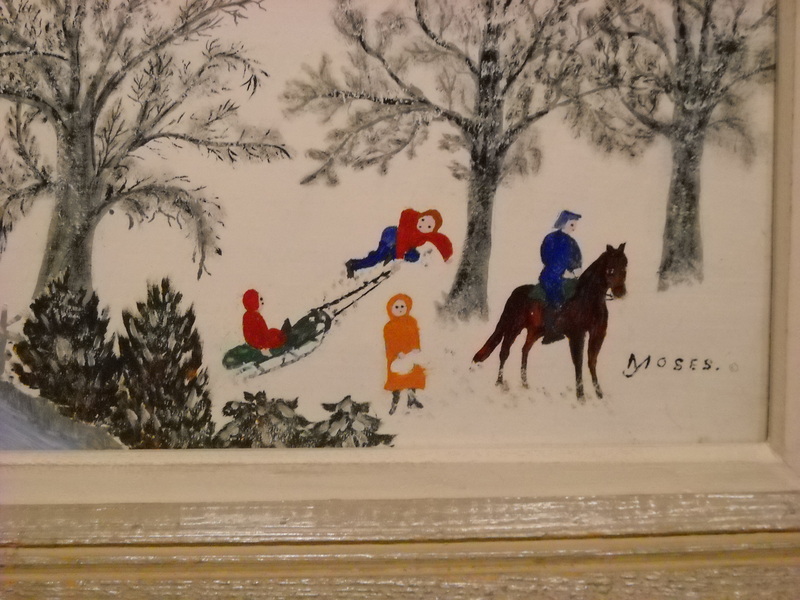 To get myself into the holiday spirit, I set out to explore images of snowy fun in our collection. * Happy Holidays! Detail of The Owlkill. I want to go sledding! Detail of Berthe Morisot's Winter (Woman with a Muff). I had a muff when I was little and loved it. *My colleagues in the Family Programs department are also getting into the holiday spirit. 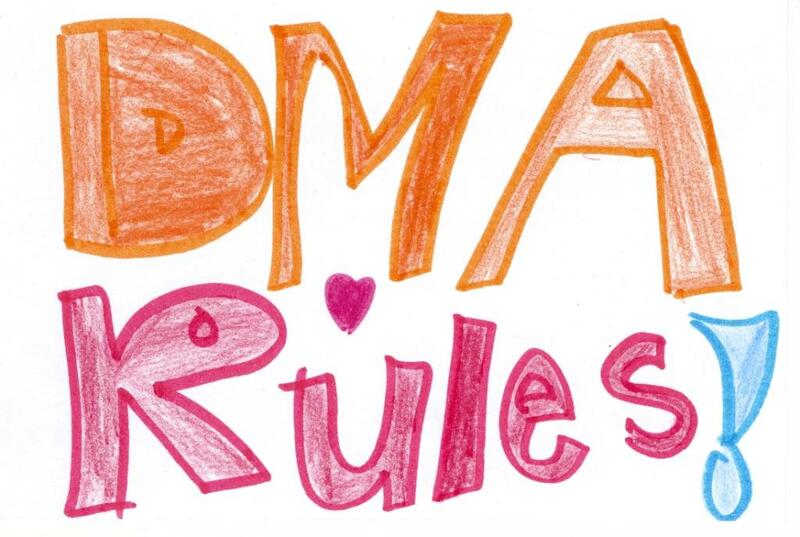 Be sure to check out the DMA Family Blog, We Art Family, to read their version of ‘Twas the Night Before Christmas. Our Thursday Evening Program for Teachers this month was DIY@DMA, a program offered through the DMA’s Center for Creative Connections. We joined artist Lizzy Wetzel to learn about felting wool, a process she uses in her own artwork. After hearing Lizzy talk about her art-making, we went to the All the World’s a Stage exhibition to see Joseph Beuys’ Felt Suit (Filzanzug), which is made of felt. We returned to the Studio and tried our hand at turning merino wool roving into felt. 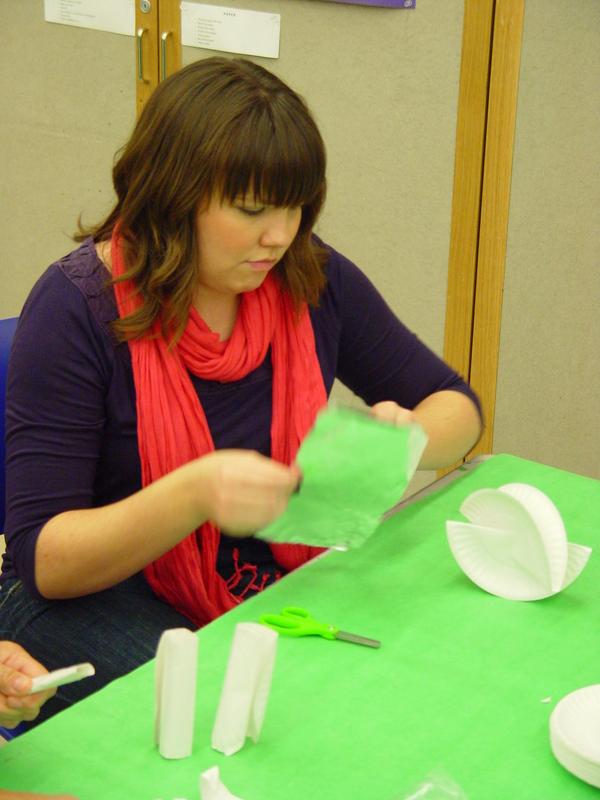 Our Thursday Evening Program for Teachers features a different program each month and is included in general admission. I hope that you will join us on January 14 at 6:30 p.m. for the Tech Lab: Open Lab program, led by artist Kevin Todora, during which we will experiment with making collages using digital photography and Adobe Photoshop software. 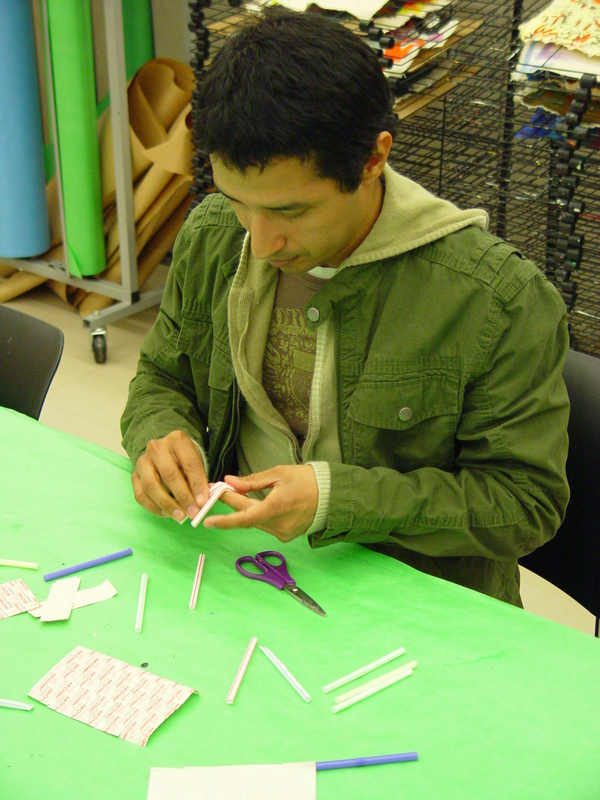 Last Friday, Go van Gogh outreach volunteers found artistic inspiration in everyday objects. Volunteers were being trained for the Go van Gogh Creative Connections program Ordinary –> Extraordinary, which asks participants to look at familiar objects with fresh eyes, using the ordinary to construct something extraordinary. 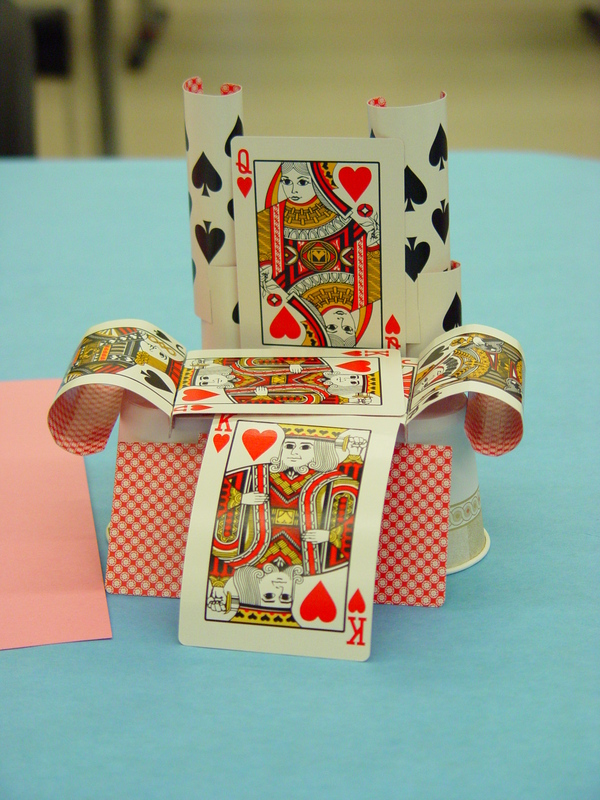 Volunteers combined band-aids, drinking straws, paper plates and dryer sheets in creative ways to make small chair sculptures. The program is inspired by two Rachofsky-owned sculptures made by Tom Friedman—one made of straws, the other made of sugar cubes. 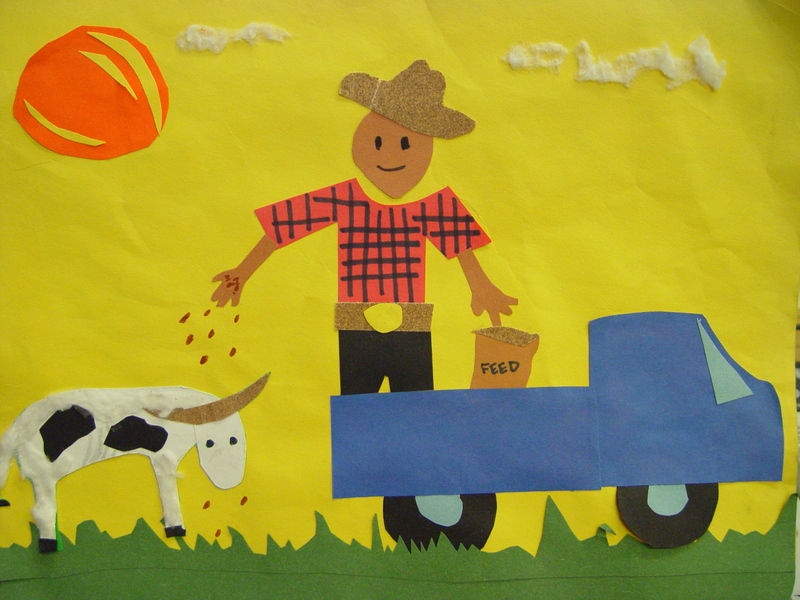 Check out the volunteer’s extraordinary creations below! 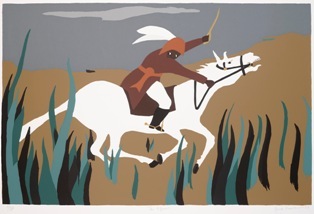 On December 6, Jacob Lawrence: The Life of Toussaint L’Ouverture opened at the DMA (on view through May 23, 2010). 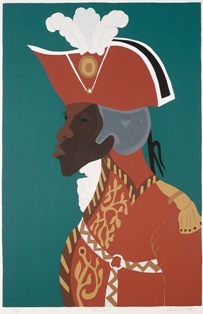 This exhibition of fifteen silkscreen prints illustrates scenes from the life of Toussaint L’Ouverture, a man who played an important role in the Haitian Revolution (1791-1804). Born a slave, Toussaint learned to read and write and worked his way up through the ranks to become commander in chief of the revolutionary army. The prints in the exhibition chronicle not only Toussaint’s rise to power, but also the events that led to Haiti becoming the first free black republic in the Western Hemisphere. We are offering a variety of programs for students and teachers focusing on this exhibition, including a Teacher Workshop on February 6, 2010. We are also offering docent-guided tours of the exhibition; because it is a small focus exhibition, docents will be using three themes–narrative and biography, commemoration, and leaders–to make connections between the screen prints in the exhibition and works of art in our African and American galleries. I hope that you’ll join us to explore The Life of Toussaint L’Ouverture! Thomas Feulmer is the Director of Educational Programming at The Rachofsky House and is a regular collaborator with the DMA. We always look forward to his fresh ideas and perceptive insights related to works of art and artists. Describe your work at The Rachofsky House. What is your favorite part of your job? As Director of Educational Programming, I do anything involving schools or the public having any interaction with the Rachofsky House. My favorite part of my job is being around the works of art and being around original objects. I also like the creative element of having to improvise in front of groups and having to think on your feet. 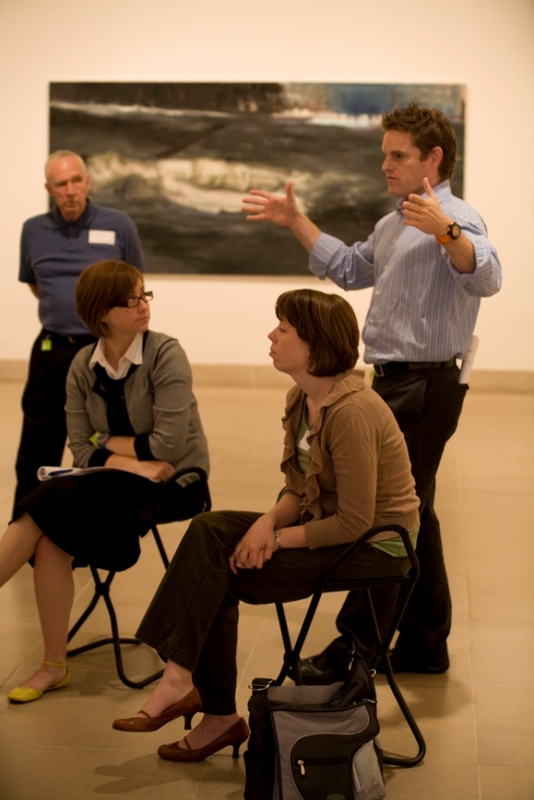 Thomas talks about a work of art at the 2009 Museum Forum for Teachers. 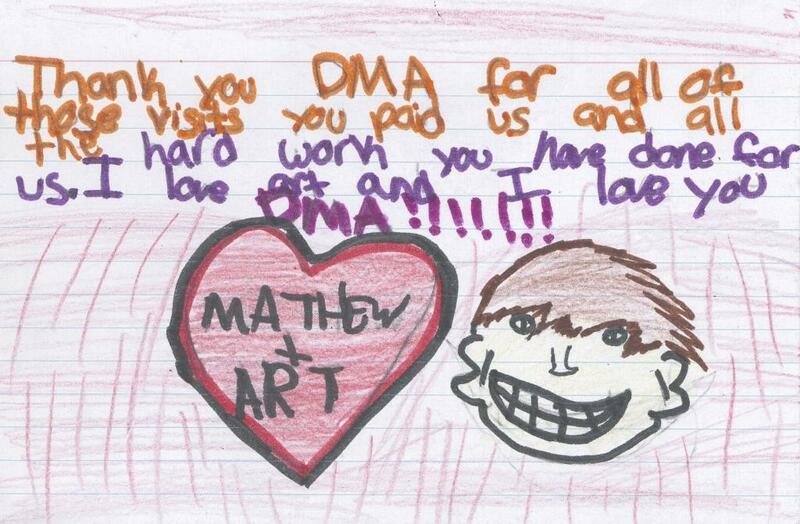 Tell us about your relationship with the DMA. 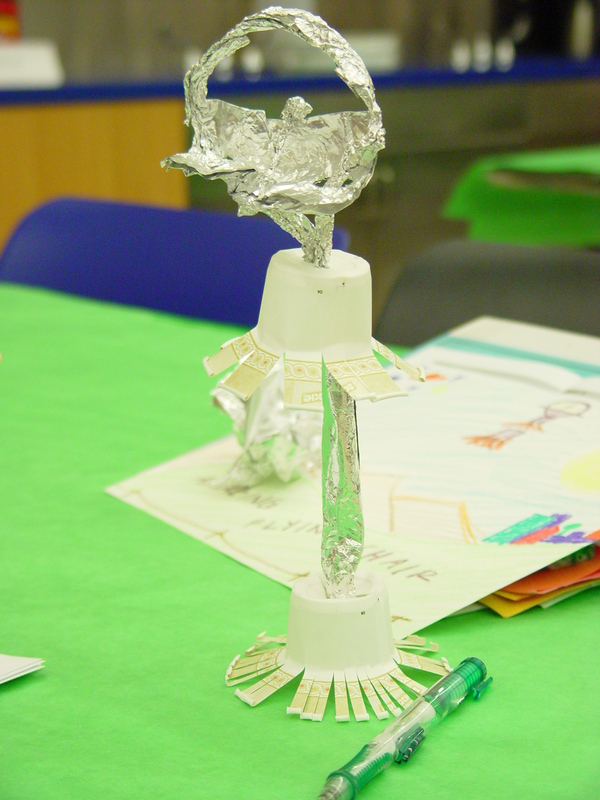 I work collaboratively with Molly Kysar on Programs for Teachers based on Contemporary Art. I’ve also worked with Nicole Stutzman on the Travis Academy Program. The UT Southwestern Medical School class “The Art of Observation”, led by DMA docents Margaret Anne Cullum and Joanna Pistenmaa, visit The Rachofsky House once during the semester. 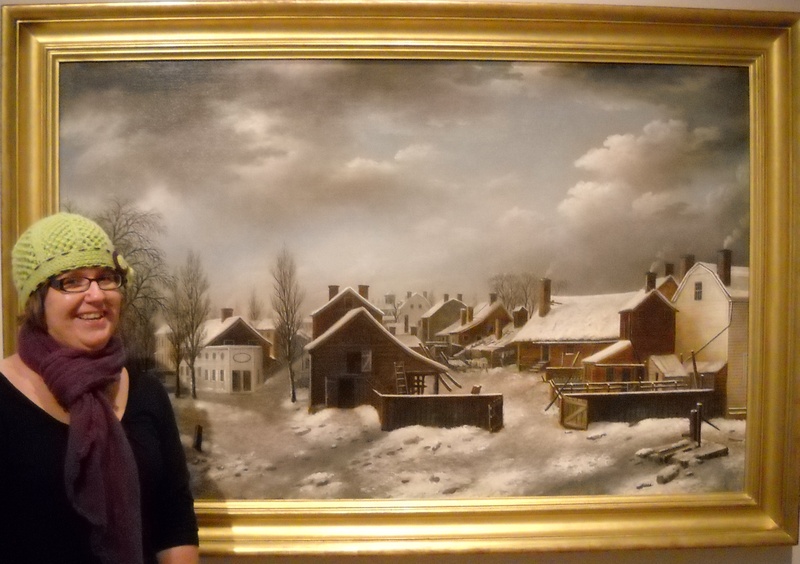 I also participate in the development of some programs and exhibitions, in part by talking about artists and artworks that are in both the Rachofsky Collection and the DMA collections or are on loan to the DMA. If you could take home any work of art from the Rachofsky Collection, what would you choose? 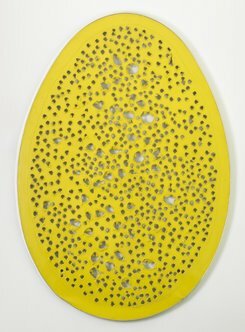 One of the first things that comes to mind is the Lucio Fontana piece Concetto Spaziale, La Fine di Dio. It’s one of the works that every time I stand in front of it, I think it’s incredible. When I’m looking at that piece, I feel like I’m looking at a real, sincere thing that is about exploring and is about a rich and deep thinking on the artists’s part. How would you describe your personal work as an artist? Most of my work looks at relationships: relationships between people, and more recently, relationships between people and animals. It is also about how intimacy is managed and expressed and how desire and attraction are managed and expressed. One of the big themes in my recent show is about my relationship with a beluga whale. I like the notion that most people have a desire to have a pure relationship with an animal and we project a lot of our purist ideas about love and desire onto animals because they seem so unguarded, I guess. I love that we project all those purist things onto animals, but, to have an experience with a beluga whale it had to happen at Sea World, which is a big place. The whale is trained and follows commands, and ultimately the experience is all controlled – which, in a way, is how all interactions are. See Thomas’s recent work at New Work by Rebecca Carter and Thomas Feulmer, open December 5-20, 2009 at 500X. Does your job have an impact on your own work as an artist? Yes, because I can come into contact with so much art and I feel like I get such a great sampling of contemporary ideas and contemporary culture. It’s like constant research for how to create meaning or visual culture in the contemporary world. Meet Thomas during our two-part January Teacher Workshop on Contemporary Art, which takes place at the Dallas Museum of Art and The Rachofsky House.